“Welcome to Warwickshire, Shakespeare’s County”. 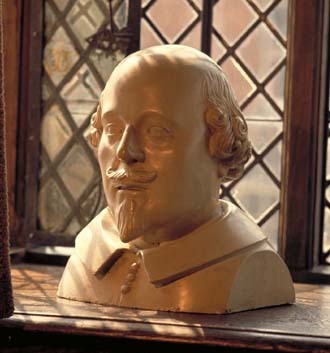 This feature shows how you can enjoy and visit the Home of the Bard when on a four to five night (with a little cheating!) or seven night cruise with LNBP. Leaving Braunston, we head north take a left turn onto the canal that incorporates both The Oxford and Grand Union canals for the two and a bit hour lock-free cruise to Napton Junction. You are now in Warwickshire but they don’t put road signs on the tow path to inform you of this! On reaching Napton, it is a right turn staying with the Grand Union Canal towards Warwick. The Regency town of Leamington Spa is about another eight hour cruise away which includes the 23 locks – this is where the cheating comes in. For those on a four-night cruise, you have the option of mooring in Leamington Spa. 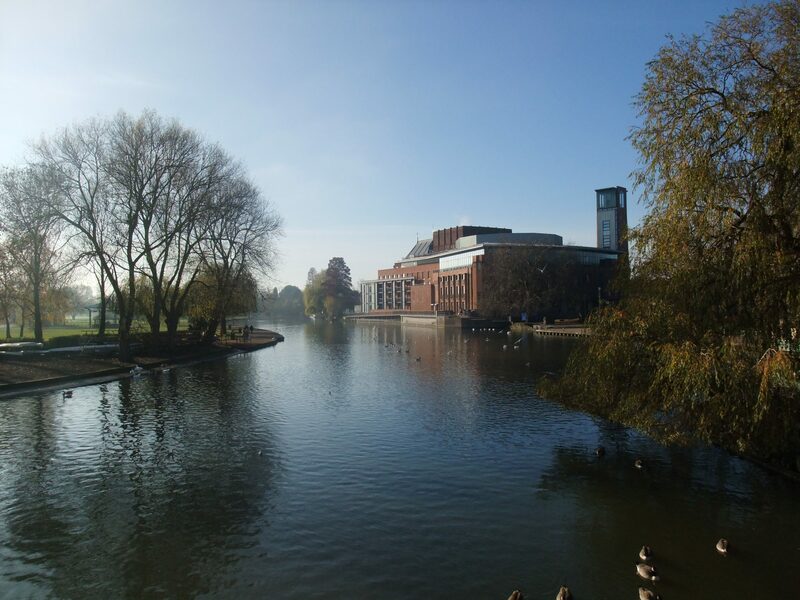 The railway station is located a two minute walk from the canal and an off-peak group return to Stratford-upon-Avon works out at about £5 per person (prices correct as at summer 2018) for the 20 minute train ride. Alternatively you have the option to cruise for another couple of hours (and a chance to take on more fresh water) to a point known as “The Cape of Good Hope”. It is two extra locks but this enables you to walk the short distance in Warwick and an slightly shorter train ride into Warwick. Stopping at either Leamington or Warwick will reduce the overall amount of locks to be navigated by some 108-112 locks! For those on the seven-night break, passing the “Cape” and Saltisford Arm, the canal turns right before climbing the famous Hatton flight of 21 locks. Having climbed Hatton, the canal continues some four miles through the countryside and Shrewley Tunnel (433 yards long) before you will reach Kingswood Junction. Kingswood Junction is where a couple of hundred yards of canal link the Grand Union Canal with The Stratford Upon Avon Canal; Kingswood is also where the Stratford canal divides into the north and south sections. From here we start the descent into Stratford-upon-Avon, with the River Avon and the basin outside the Royal Shakespeare Theatre (RSC) being 13 miles and 33 locks away. This canal is not as wide as the Grand Union Canal and the locks only accommodate one boat at a time. The Stratford-upon-Avon Canal has many unique features such as the split bridges (the bridge having a small gap of about 1-2 inches on the crest to allow the rope of the horse to pass through – remember these boats were drawn by horses years ago), also the barrel roofed cottages along the canal. The pretty village of Wootton Wawen is approximately midway between Kingswood Junction and Stratford. The Navigation pub is situated on the canal plus there is a small village shop located a couple of hundred yards off the canal on the main road. As the canal crosses the main road, note the cast iron trough carrying the canal and the towpath at a lower lever than the boat giving it a real ducks eye view of the canal. A repeated design a little further along the canal as you cross the Edstone (or Bearley) Aqueduct, a little longer at approximately 200 yards in length but the cast iron still remains. Within a couple of miles of this aqueduct the canal enters the village of Wilmcote and within a couple of minute’s walk of the canal is the home of Mary Arden, mother of William Shakespeare. It is then onto the Wilmcote flight, eleven locks descending over 77 feet brings you to the outskirts of Stratford. Another 30-40 minutes cruise will bring you to One Elm Lock (Premier Inn on the left and McDonalds’s on the right), this is the last water point and winding hole before the River Avon for fresh water or Stratford Basin for winding, both about 60-90 minutes cruise away. Having descended the final five locks into the town, we arrive in Stratford-upon-Avon, where mooring is available on the tow path or within the basin offering 48 hours free mooring. In all honesty, twenty-four hours in Stratford-upon-Avon is not long enough! 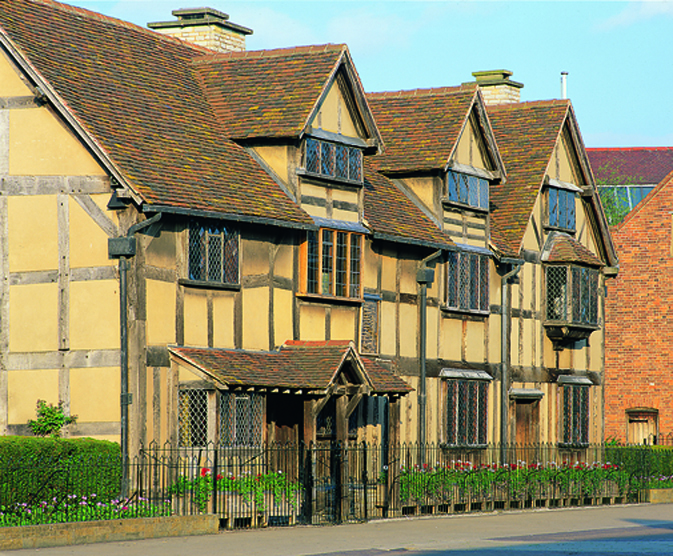 This is a world class visitor destination with great attractions, more tea shops than you can shake a stick at, excellent shopping, a swimming pool and leisure centre, big park not far from the riverside opposite the RSC, and finally as if I could forget, it is the birthplace and was home to one of the world’s greatest writers, William Shakespeare. 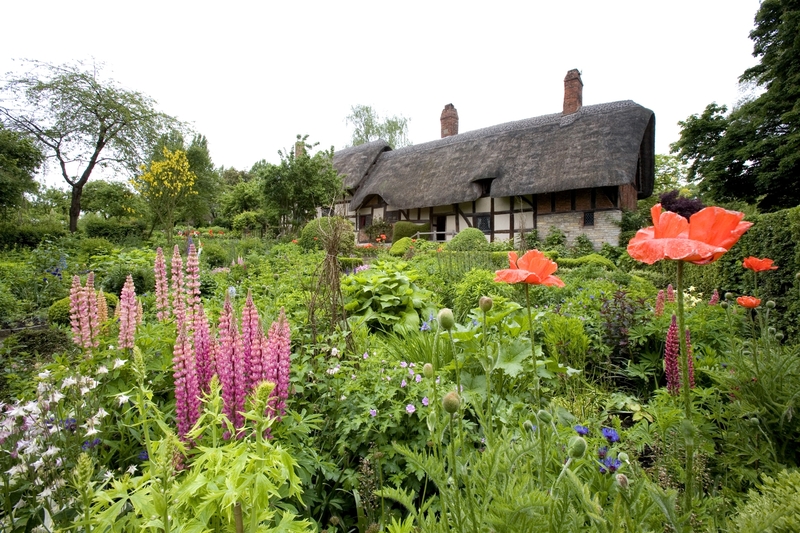 A trip to the home of the Bard is relaxing and offers so much to see from taking in the beauty of the Warwickshire countryside, before reaching and having opportunity to explore all that Stratford-upon-Avon has to offer. This article was written by LNBP’s Booking Officer, Nigel Smith, and are his views and not necessarily those of LNBP. If this all sounds of interest for your community group or organisation, why not start planning your Braunston to Bard trip now? Click here to check availability and make a booking online.